GMP Quality Assured: NOW closely adheres to both mandatory U.S. FDA Current Good Manufacturing Practices (CGMP) regulations and voluntary Natural Products Association (NPA) Good Manufacturing Practices (GMP) regulations. Good manufacturing practices ensure compliance with sanitation, processing, documentation, and testing requirements that are designed to promote consistent, highly reproducible product quality and safety. A Dietary Supplement Psyllium is a true dietary fiber, even though it is classified by some as a laxative or mucilaginous fiber, and is a convenient way to increase intake of dietary fiber because of its high mucilage content. This bulking agent swells considerably when added to liquid, which can help to support healthy gastrointestinal transit time. This bulking action and healthy transit time can play an important role in maintaining healthy gastrointestinal function. * Soluble fiber from foods such as psyllium seed husks, as part of a diet low in saturated fat and cholesterol, may reduce the risk of heart disease. 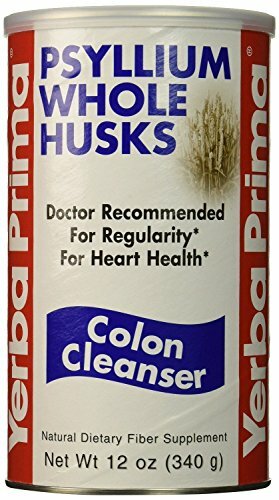 Psyllium Husk Powder - 24 oz. Digestive system making you feel sluggish? Start by taking Metamucil Multi-Health Fiber Powder everyday to trap & remove the waste that weighs you down, so you feel lighter. 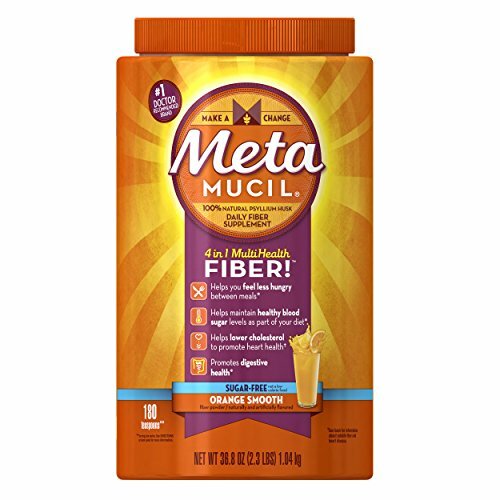 Metamucil is the only leading brand made with Psyllium Fiber, a plant-based fiber that provides multiple health benefits including helping you with: Appetite Control Maintain healthy blood sugar levels Heart health by Lowering Cholesterol Promote digestive health, so you feel Lighter and Less Sluggish Try our Multi-Health Fiber Powder today, just mix and drink! Diets low in saturated fat and cholesterol that include 7 grams of soluble fiber per day from psyllium husk, as in Metamucil, may reduce the risk of heart disease by lowering cholesterol. One adult serving of Metamucil Powder has 2.4 grams of this soluble fiber. THESE STATEMENTS HAVE NOT BEEN EVALUATED BY THE FOOD AND DRUG ADMINISTRATION. THIS PRODUCT IS NOT INTENDED TO DIAGNOSE, TREAT, CURE, OR PREVENT ANY DISEASE. P&G calculation based in part on data reported by Nielsen through its ScanTrack Service for the Digestive Health category for the 52-week period ending 01/13/2018, for the total U.S. market, xAOC, according to the P&G custom product hierarchy. Copyright 2018, The Nielsen Company.Uses For feeling less hungry between meals* Adults 12 yrs. and over: Two rounded teaspoons in 8 or more oz. of liquid with meals, up to 3 times daily. For lowering cholesterol to promote heart health Adults 12 yrs. and over: One rounded teaspoon in 8 oz. of liquid, 3 times daily. For maintaining healthy blood sugar levels as part of your diet Adults 12 yrs - and over: One rounded teaspoon in 8 oz. of liquid, 3 times daily. Consult your doctor before use if you are currently using medication to control your blood sugar levels. For promoting and maintaining digestive health Adults 12 yrs - and over -One rounded teaspoon in 8 oz. of liquid up to 3 times daily for fiber supplementation. For occasional constipation and to help promote and maintain regularity. For children under 12, consult a doctor. Try our Single Serve Packets today for easy dosing, at home or on-the-go. P&G calculation based in part on data reported by Nielsen through its ScanTrack Service for the Digestive Health category for the 52-week period ending 01/13/2018, for the total U.S. market, xAOC, according to the P&G custom product hierarchy. Copyright 2018, The Nielsen Company. Have you heard about that new movie "Constipation"? Probably not, because it hasn't come out yet! Haha alright on to the science-y stuff. We'll stop making you laugh before you poo your pants.. Got you again! 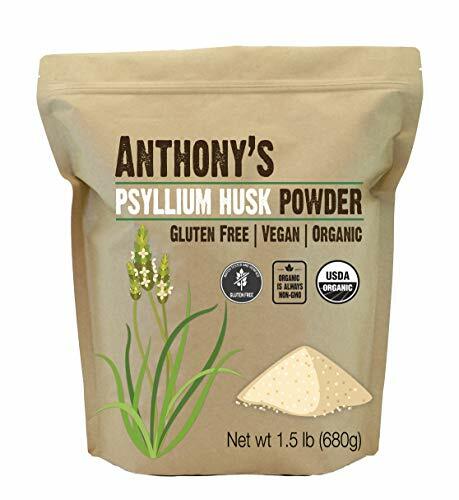 Okay seriously though, Anthony's Psyllium Husk is a bulk-forming laxative which promotes regularity, helps ease constipation, and aids in overall digestive health. This powder is high in mucilaginous fiber that has a water absorbing ability, which causes the bulking action. Our Psyllium Husk Powder is Gluten free, Vegan Friendly and Organic. Enjoy it with just a glass of water or mix it into smoothies and baked goods! Happy Bowel Movements! Finely Ground Powder - Add 1-2 Teaspoons to a full glass of water, smoothies and more! It's no secret that fiber-rich diets are an important part of a healthy lifestyle. * But, our busy, fast-paced lives can make it difficult to get enough fiber through our diet. Adding Viva Naturals Psyllium Husk Powder to your daily regimen can help. Our psyllium husk powder is a natural bulk-forming fiber that assists with the elimination of waste which helps maintain colon health. * Because we use a unique de-husking method that separates the husks from its seeds, gently milling psyllium into a soft, uniform consistency, it's more palatable, and easy to blend into shakes, smoothies, baked goods and more. Q: How do I consume this? A: Psyllium husk powder is super versatile and there are many ways to enjoy its benefits. Try adding a serving to your favorite juice, baked goods, smoothies, oatmeal, yogurt, pudding, etc. Remember that it absorbs moisture rather quickly, and will thicken any product to which it is added. We do not recommend consuming our powder dry, as it will absorb moisture quickly and can cause choking if not consumed with enough liquid. Q: How many servings should I take daily? A: Fiber intake depends on your individual needs and health goals. Our recommended serving is 1 teaspoon daily, with at least 8 oz of water. However, you may want to speak with your healthcare practitioner about the number of servings that are right for you. If you're looking for a simple and effective way to add a healthy dose of tummy-friendly fiber to your diet,* add Viva Naturals Psyllium Husk Powder to your cart now. Thanks for reading! HELPS CLEANSE YOUR DIGESTIVE SYSTEM* - When mixed with liquid, our psyllium husk powder thickens into a gel, helping with the passage of food to eliminate waste. * Each teaspoon provides 4g of dietary fiber, representing 14% of your recommended daily fiber intake! SUPPORTS A HEALTHY TUMMY* - Because of its natural bulk-forming properties, Viva Naturals Psyllium Husk Powder assists with the elimination of waste which helps to maintain colon health and digestion*. A healthy tummy is a happy tummy! SUPPORTS CARDIOVASCULAR HEALTH* - Diets low in saturated fat and cholesterol that include 7 grams of soluble fiber per day from psyllium husk, as in Viva Naturals Organic Psyllium Husk Powder, may reduce the risk of heart disease by lowering cholesterol. One serving of Viva Naturals Psyllium Husk Powder has 4 grams of this soluble fiber. CERTIFIED ORGANIC & NON-GMO - Our customers know that we pride ourselves on providing high-quality, ethically sourced ingredients from the best region of origin. Sourced directly from India, Viva Naturals Psyllium Husk Powder is USDA-certified organic and non-GMO, suitable for all diets including, vegan, gluten-free, paleo, low-carb, keto friendly and more! 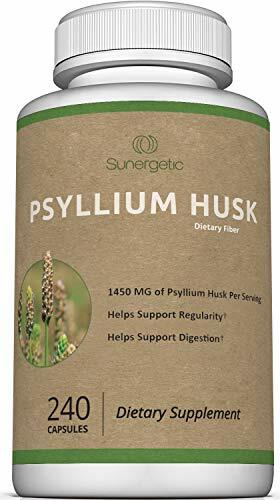 Psyllium Husk Is A Premium Fiber Supplement: Our Psyllium Husk capsules are easy to swallow and don't have a bad taste unlike psyllium husk powder. 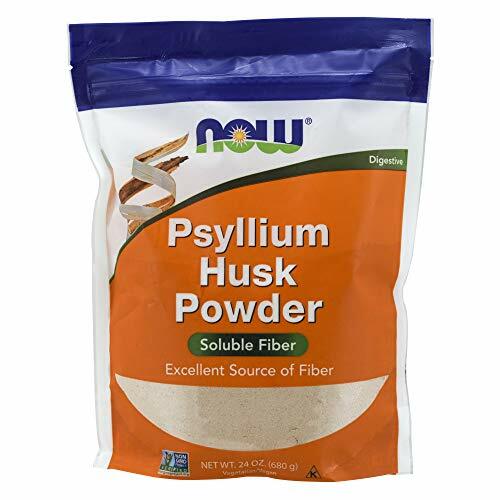 Our Psyllium Husk supplement offers a convenient and easy to way to try Psyllium Husk. Our Psyllium Husk capsules provide 1,450mg of Psyllium Husk per serving. 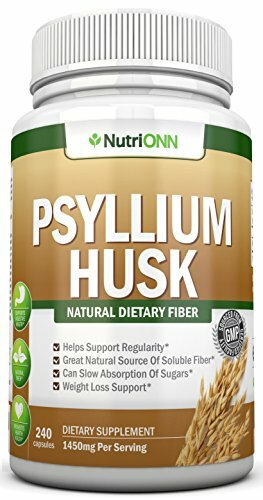 Why Psyllium Husk? Today's fast paced world is filled with unhealthy food options that can challenge your digestive system. Getting adequate fiber cab be an important part of a well balanced diet. Psyllium is the husk of the seed from the Plantago plant. Why Buy From Us? Sunergetic Products cares about its customers. We pride ourselves on developing cutting edge health products with high quality herbs. Sunergetic's Psyllium Husk Supplement is manufactured in an FDA registered facility that adheres to Good Manufacturing Practices (GMP). Sunergetic offers a no questions asked money back guarantee because we are very confident you will love our Psyllium Husk pills. Click the "Add To Cart" Button above to try our Psyllium Husk Capsules today! POWERFUL PSYLLIUM HUSK CAPSULES: Psyllium Husk is a source of fiber. Often referred to as a "colon cleanser," Psyllium Husk fiber helps support regularity, intestinal health and digestive health. Our Psyllium Husk capsules offer an easy and convenient way to use Psyllium Husk. 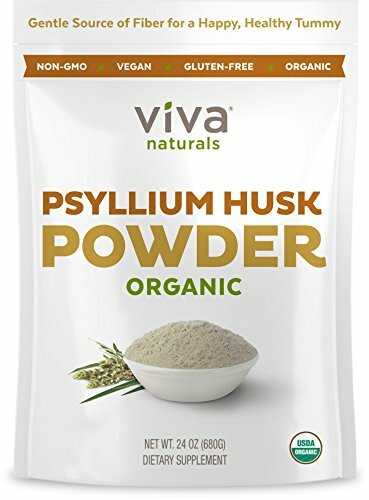 HELPS SUPPORT DIGESTION, INTESTINAL HEALTH & REGULARITY: Psyllium Husk supplements are an effective and quick way to add important fiber to your diet. When combined with water, pysllium husk forms a gel that can help to keep the bowels regular and helps support digestive health. FAST & CONVENIENT DIETARY FIBER: Psyllium seed husks, also known as ispaghula, isabgol, or psyllium, are portions of the seeds of the plant Plantago ovata. 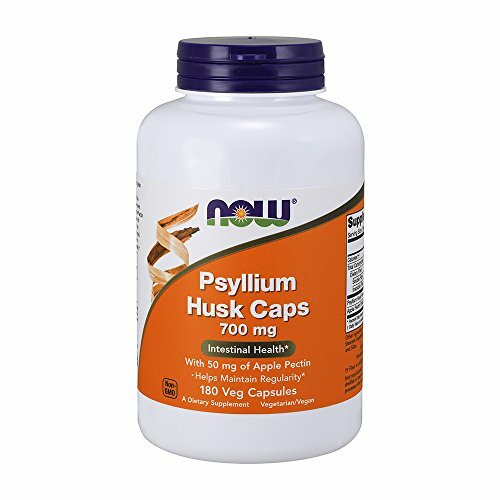 Our Psyllium Husk fiber capsules are convenient and easy to swallow. No need to mix Psyllium Husk powder in water like many other brands, simply take our Psyllium Husk capsules with a full glass of water. Commonly misspelled as pysllium husk, our Psyllium Husk capsules are a great option for your digestive health. GMP CERTIFIED FACILITY: Sunergetic's Psyllium Husk formula is manufactured in an FDA registered facility that adheres to Good Manufacturing Practices (GMP). Sunergetic is committed to maintaining high quality Psyllium Husk fiber capsules. SATISFACTION GUARANTEED: We are so sure that you will love our Psyllium Husk Fiber Supplement that we protect all orders with a no questions asked 365 day money back guarantee. Sunergetic stand behind all of our Psyllium Husk Capsules with full confidence. Take 2 capsules with 8 oz. glass of liquid, 2 to 3 times a day. Surveys have shown that the fiber content of the American diet is typically about half of government recommended levels. Psyllium Husks and Apple Pectin can be a convenient way to increase the intake of dietary fiber. * Psyllium has the ability to swell up to 50 times its initial volume when added to liquid. This bulking action can play an important role in maintaining regularity and gastrointestinal health. * NOTICE: This product should be taken with at least a full glass of liquid. Taking this product without enough liquid may cause choking. Do not take this product if you have difficulty in swallowing. 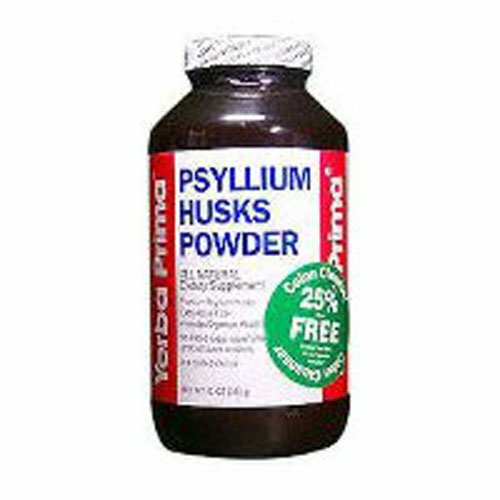 What Is Psyllium Husk? Psyllium seed husks are portions of the seeds of the plant Plantago ovata, a native of India and Pakistan. It contains spongy fiber that helps to reduce appetite and to manage weight. Psyllium husks are not absorbed by the intestines. They absorb excess water and form a gel-like substance, therefore making the stool softer. It also stimulates bowel movement, providing much needed fiber to your diet. What Is Psyllium Husk Used For? Psyllium Husk is mainly used as a dietary fiber, which is an essential component in the human diet. Taking psyllium husks as dietary fiber can help reduce the symptoms of constipation by softening the stool and supporting digestion. It may be helpful in weight management and stimulating healthy bowel movement. Psyllium husks have also shown to be helpful in promoting healthy cholesterol levels. - Psyllium supports healthy, regular bowel movement - goodbye, constipation. - Help in weight control and general intestinal health. - Research has shown psyllium to be helpful in lowering blood cholesterol levels. - Relieves acidity problems - helps to maintain healthy and balanced pH in your intestines. No more pain caused by acid in the belly. - Clinical reports suggest that it may enhance the sensation of fullness and reduce cravings. All NutriONN supplements are manufactured right here in the U.S.A in a GMP-compliant facility. Our labs are FDA-inspected. We provide the highest quality product without any artificial ingredients. Click the "Add to Cart" button now and take advantage of our 100% Money Back Guarantee Today! For weight loss, this product should be used in conjunction with a balanced, calorie-controlled diet and exercise program. SUPER DISCOUNT, TODAY ONLY! - Buy two or more bottles and receive up to 15% discount on your purchase! MAINTAINS REGULARITY AND PREVENTS CONSTIPATION - When combined with water, pysllium husk forms a gel (that is naturally gluten free!) that can help to keep the bowels regular and is far more gentle - and natural - than using a laxative. WHY BUY FROM US - As a small company the most valuable asset is our customer (YOU!) and we make sure we do everything to make you happy. Every email, every question or every problem is answered within hours. We make sure to choose the best ingredients and make the highest quality product, because reputation is everything. You can end your search. We got you covered. You can press the buy button with ease. 100% MONEY BACK GUARANTEE - If there is anything you don't like about our product we will give you a 100% refund. No questions asked. At NutriONN our number one priority is to make sure our customers are happy. For over 70 years, psyllium husk has been a great primary source of both soluble and insoluble fiber worldwide and has a long history of use in traditional and herbal medicines. Psyllium seed husks, also known as ispaghula, isabgol, or psyllium, are portions of the seeds of the plant Plantago ovata, (genus Plantago), a native of India and Pakistan. 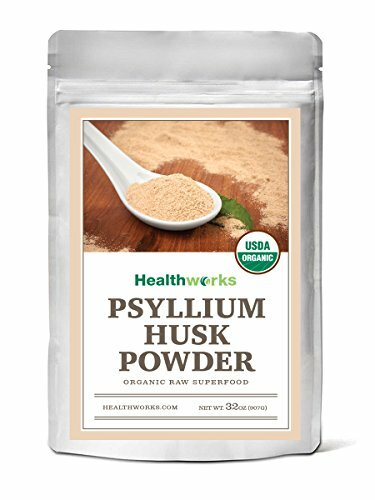 Our Healthworks Organic Psyllium Husk Powder is raw, pure, all-natural, and makes for a great addition to any lifestyle. It is a special superfood known to support intestinal health, cleanse your insides, and assist your body s natural toxin removal process, helping you feel lighter. It s one of the most fiber-rich foods we can eat! Healthy and delicious - add psyllium husk powder to your diet and reap the benefits! TRY WITH: Water, Juice, Soy or Rice Drink, Milk, Smoothies, Breads, Baked Goods and more! Caution: Each teaspoon of psyllium husk powder should be consumed with at least one full glass of water. You should not take this product if you have difficulty swallowing. Provides nutritional support of respiratory cleansing and tissue-protecting processes. The herbs in Sinus Support EF provide practical and safe support for the respiratory system, especially during seasonal changes. Sinus Support EF supports nasal passages and supplies nutrients for proper respiratory function. Sinus Support EF features synephrine (from immature orange peel), which possesses properties somewhat similar to the alkaloid ephedrine in providing respiratory support, but it acts much more mildly in the body. CHOLESTEROL LEVELS - The psyllium hulls absorb several times its weight in liquid which helps support cholesterol levels that are already within the normal range. INTESTINAL SYSTEM AID - Our powerful formula helps support a healthy intestinal system for adults and children. CLEANSE RELIEF - Psyllium has high amounts of soluble fiber that has a mucilaginous quality that helps ease the process of waste management in your body. NATURAL INGREDIENTS - Provide a natural boost from powerful ingredients that contains psyllium hulls, hibiscus flowers and licorice root in bulk rather than encapsulated form. GUARANTEED PURE INGREDIENTS - Since 1972, Nature's Sunshine have been the Herb Specialists with an unwavering commitment to Quality, Service, and Integrity. Psyllium husks powder is the strongest natural dietary fiber for promoting regularity and supporting heart health. 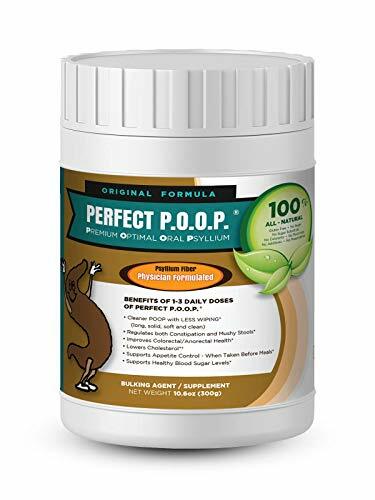 PERFECT P.O.O.P (Premium Optimal Oral Psyllium) is an all-natural,psyllium husk powder formulated specifically for me, a double board certified proctologist, to mix easy and go down smooth. It regulates both constipation and mushy loose stools for that long, solid, soft and clean bowel movement. You know, the "one and done" or the "no wiper" bowel movement. The one you haven't had in years. I have been taking psyllium since 1998 every day, up to 3 times a day. It has never been pleasant to drink, however, knowing the health benefits I "choked it down". 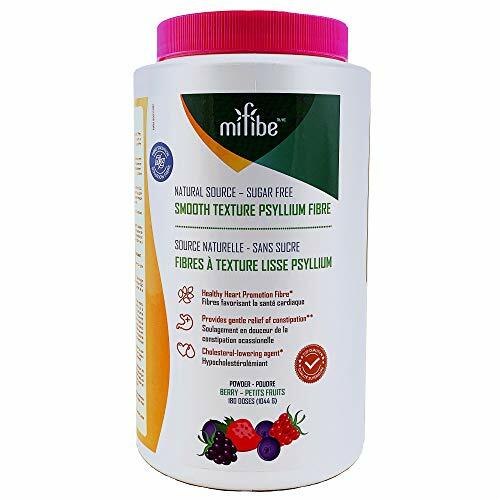 I knew that to get the benefits of the fiber it has to be taken daily and therefore I had to come up with a formula without altering the efficacy of the psyllium to make it easier to drink. PERFECT P.O.O.P is formulated without changing the natural psyllium product. Just a better, smoother experience. No gritty texture, no cardboard flavor. Mix with almond milk, orange juice, pineapple juice, apple juice etc. Since it is easier to drink and tastes better compliance to use the product 1-3 times daily is improved. BEST SHAKEN NOT STIRRED. CONSIDER PURCHASING A SHAKER CUP TO SHAKE THE POWDER IN ORANGE JUICE OR ALMOND MILK.. The Plantago ovata plant grows around the world and has been a staple of local diets in India and other countries for centuries. The seeds of the plant are used to produce psyllium, a dietary fiber that has long been used as a natural remedy. 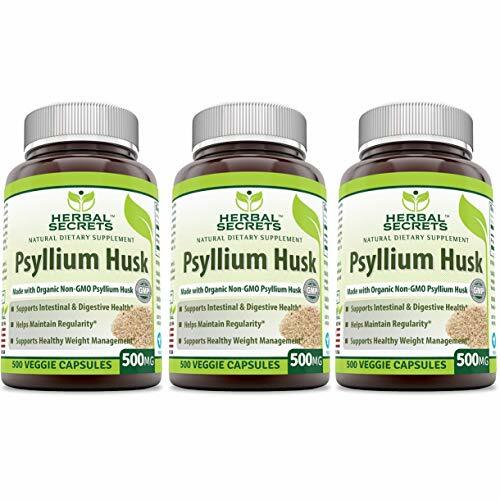 Psyllium husk is found in many over-the-counter laxative products, and now, it's possible to reap its nutritional benefits in the purest possible form with Herbal Secrets Psyllium Husk. 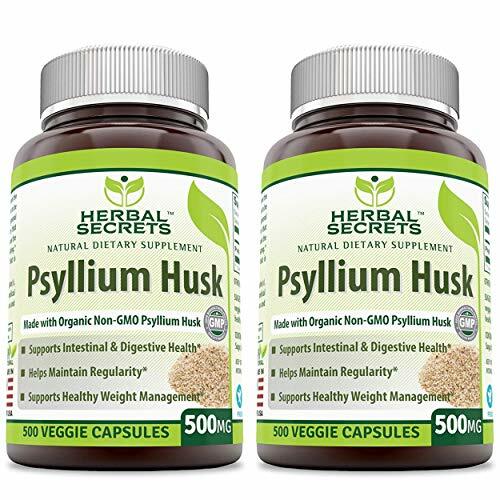 Herbal Secrets Psyllium Husk comes in the form of convenient psyllium fiber capsules that are easy to swallow and 100% natural. 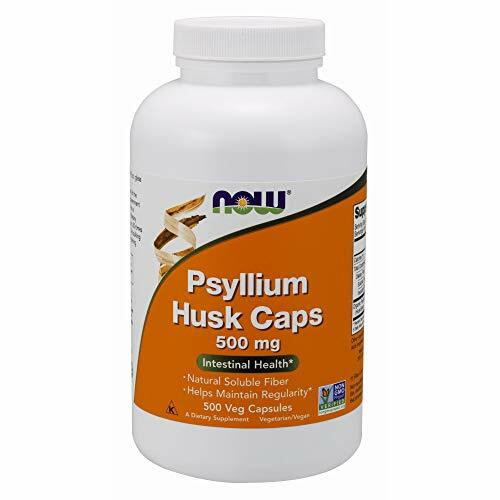 Our psyllium husk caps provide 500 milligrams of pure psyllium husk fiber, the dosage most frequently recommended by physicians and herbalists for many natural remedies. 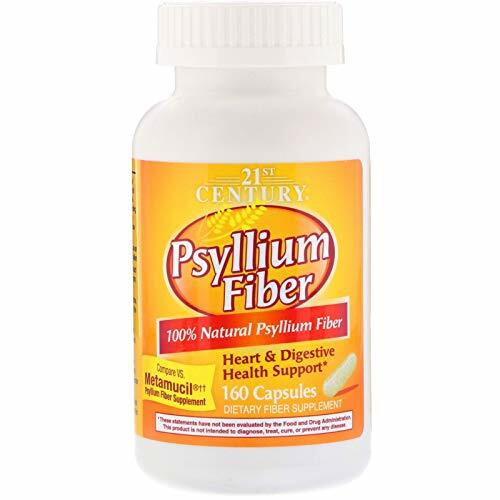 If you're looking for easy-to-use fiber capsules, psyllium from Herbal Secrets is the ideal choice. Our psyllium capsules are the best option for: * PROMOTING REGULARITY. Unlike a psyllium husk colon cleanse formula, our psyllium capsules contain nothing but psyllium fiber. You'll avoid the stimulants and other side effect causing ingredients found in other supplements when you choose Herbal Secrets. * ASSISTING WITH HEALTHY WEIGHT MANAGEMENT. If you're looking for psyllium husk fiber products to help you reduce your appetite, Herbal Secrets can help you get results without sugar, soy, milk and other ingredients that may not be a part of your healthy eating plan. * BOOSTING YOUR FIBER INTAKE. Our psyllium fiber is free of gluten, wheat, yeast and starch, so it's the best choice of psyllium fiber capsules for a low carb diet Reap the nutritional benefits of psyllium fiber without the additives that can cause side effects and conflict with your healthy diet. 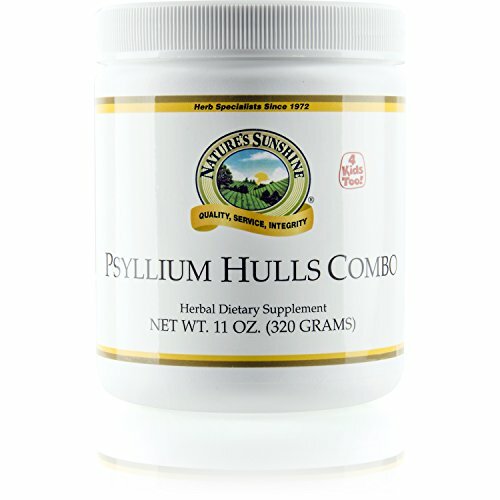 Order Herbal Secrets Psyllium Husk and get a huge 500pill supply of our psyllium fiber capsules today! BUNDLE: A Lumintrail Pill Case is included. 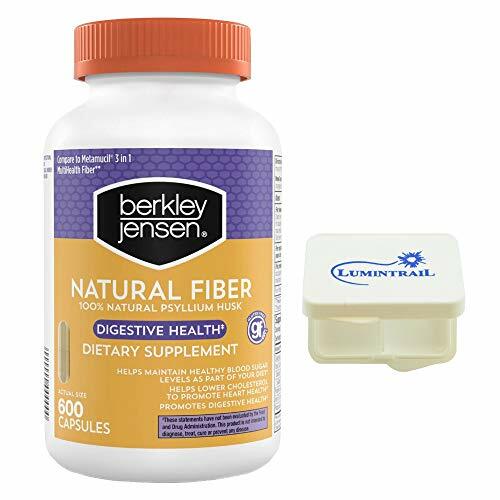 Natural fiber capsules from Berkley Jensen helps to maintain healthy blood sugar levels, promotes digestive health and lowers cholesterol levels. Diet low in saturated fat and cholesterol that include 7 grams of soluble fiber per day from psyllium husk, as in this product, may reduce the risk of heart disease by lowering cholesterol. One serving of this product has 1.8 grams of soluble fiber. For occasional constipation and to help promote and maintain regularity. Read the directions, warning, and package information before use. For your protections, do not use if printed seal under cap is broken or missing. Allergy Alert: This product may cause allergic reason in people sensitive to inhaled or ingested psyllium. Helps maintain healthy blood sugar levels as part of your diet. 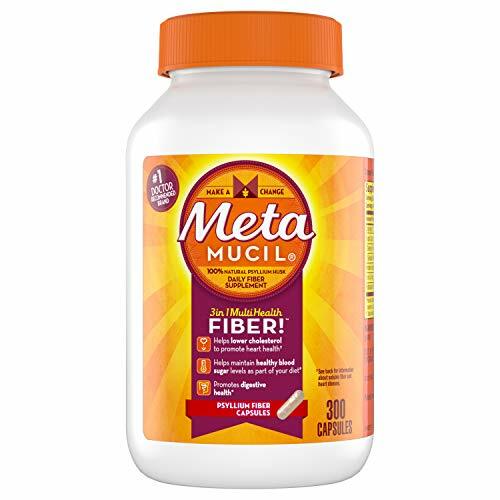 Compare to Metamucil 3 in 1 MultiHealth Fiber. Gluten Free. 600 Capsules. BUNDLE - A Lumintrail Pill Case is included. What is psyllium? Psyllium is a form of fiber made from the husks of the Plantago ovata plant's seeds. It sometimes goes by the name ispaghula. It's most commonly known as a laxative. However, research shows that taking psyllium is beneficial to many parts of the human body, including the heart and the pancreas. Your bathroom buddy Psyllium is a bulk-forming laxative. This means it soaks up water in your gut and makes bowel movements" much easier. It also helps promote regularity without increasing flatulence. It can be used as a one-off to ease constipation, or it can be added to your diet to help promote regularity and overall digestive health. Heart health Research has shown that taking soluble fiber can help people manage their cholesterol levels. Proper cholesterol regulation is important for everyone, but vital for people over the age of 50. One study shows that at least six weeks of daily psyllium intake is an effective way for people who are obese or overweight to lower their cholesterol with very few side effects. Helps you feel less hungry between meals. A very good appetite suppressant. Maintain healthy blood sugar levels as part of your diet. Helps lower mildly to moderately elevated cholesterol levels in adults when taken with a low fat diet. Promotes digestive health by relieving irregularity. Gone are the days when Psyllium was just used as a fiber supplement. You had to hold your nose and chug it down the gullet! 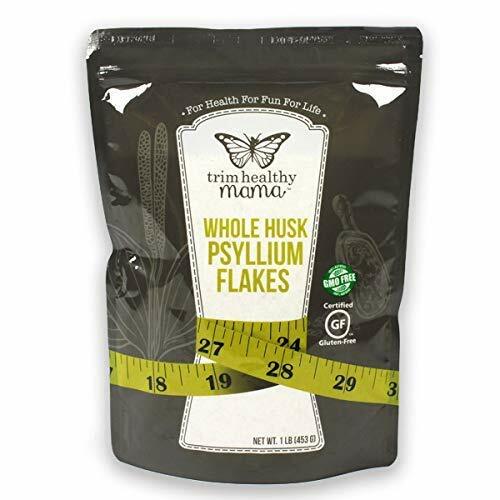 Here at Trim Healthy Mama Psyllium husks are the secret to soft, delicious low-glycemic breads, moist yet sturdy wraps or tortillas and yummy non-dairy cheese substitutes. Who knew Psyllium could be such a baking treasure? 100% Natural Psyllium Fiber Heart & Digestive Health Support Compare Vs. Metamucil Psyllium Fiber Supplement Dietary Fiber SupplementGuaranteed Quality Laboratory TestedDiets low in saturated fat and cholesterol that include seven (7) grams of soluble fiber per day from psyllium husk, as in Psyllium Fiber, may reduce the risk of heart disease. One serving of Psyllium Fiber provides (2) grams of soluble fiber. To increase daily fiber intake, take up to five (5) capsules, (swallowed one (1) at a time, with a full glass of water. Taking this product without enough liquid may cause choking. See choking warning. Do not take if you have difficulty swallowing. May be taken up to three (3) times daily, or as directed by a doctor. Do not exceed recommended dosage. Individual results may vary.